One more! More to come, as usual. Two members of the U.S.A.F. 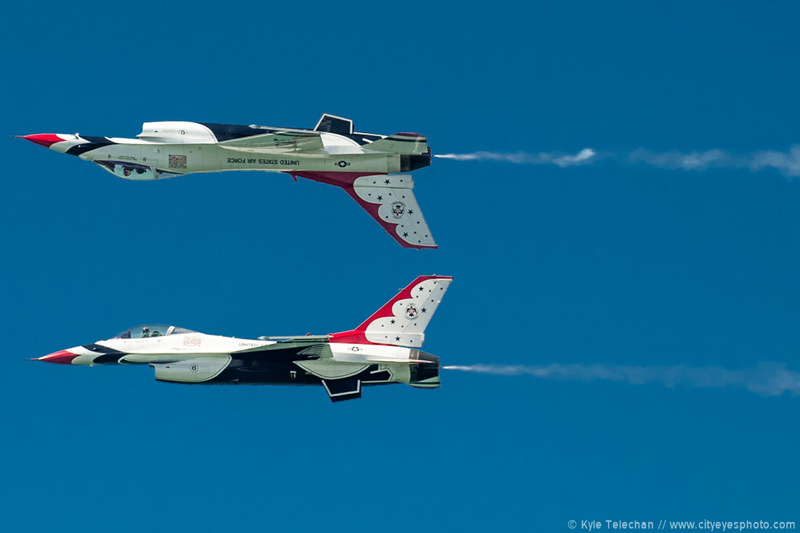 Thunderbirds perform a Calypso Pass during the final day of Gary’s South Shore Air Show.